On the eve of the launch of her new book, Jodie Jackson reflects on the growing audience-driven call for more constructive reporting. Despite initial skepticism, those who have been following the spread of constructive journalism across the media industry know how quickly it has become mainstreamized in the last five years. As a non-journalist, I have always seen it as my role to focus on the consumer side. The result of this pursuit is my upcoming book ‘You Are What You Read – how changing your media diet can change the world‘, published by Unbound tomorrow. I invite you to be unreasonable with me. Refuse to accept that there is only one way that the news should be; refuse to accept that negative news is the only narrative worth telling; refuse to accept that the news ‘is the way that it is’ and instead decide that it should be more balanced in its coverage. And then start making changes and choices that reflect this. 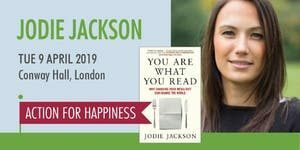 Join Action for Happiness for an inspiring evening with Jodie Jackson to mark the launch of her ground-breaking new book You Are What You Read. 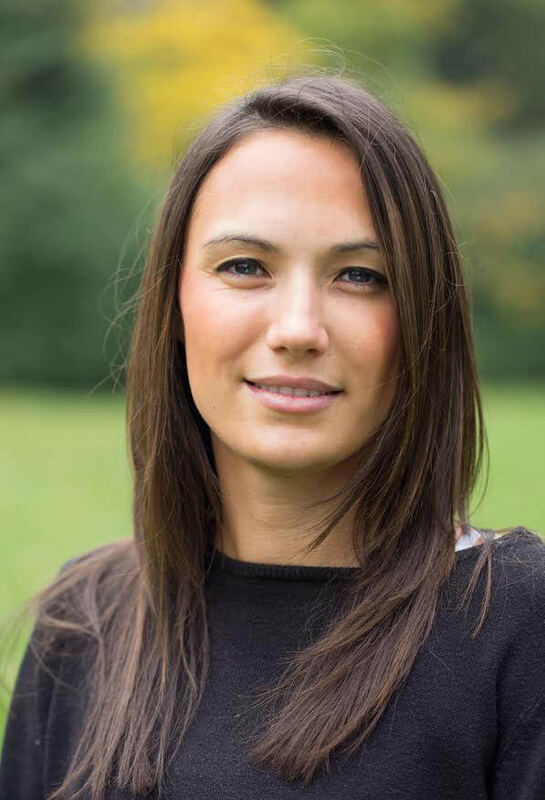 In this empowering talk, Jodie Jackson will explain the impact the news has on our mental health and show us how we can take a more conscious and constructive approach to our media diet. By shifting the way we consume the news, we have the power to boost our mental health, transform our lives and just possibly change the world. Can constructive journalism play a role in conflict reporting? It is a question we get asked a lot, and we’re increasingly seeing examples of how it can. 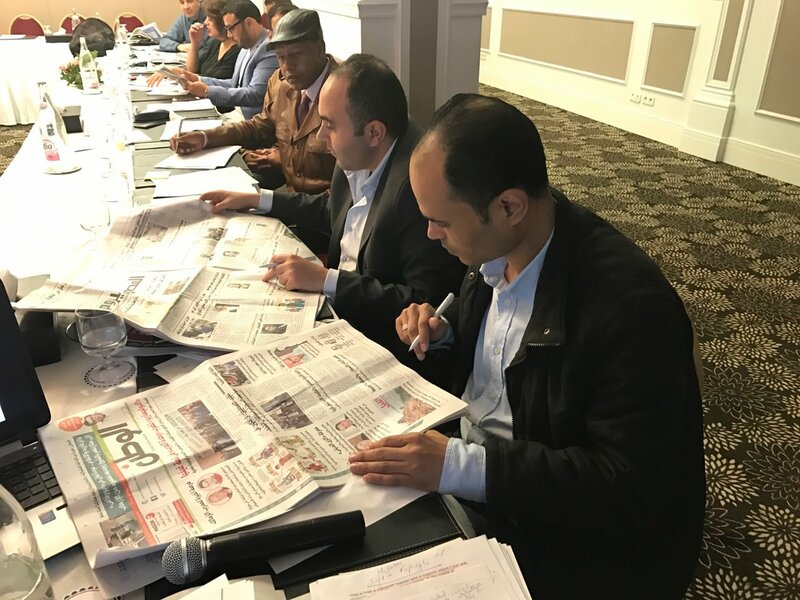 Following our work with Egyptian, Libyan and Tunisian journalists, we recently travelled to deliver a constructive journalism workshop to members of the Ethical Charter for Syrian Media. For many of these independent journalists, doing their jobs can put them in danger, so we met at an undisclosed location. Through instantaneous translation, we were able to have very insightful and in-depth discussions about how to apply the principles of constructive journalism to the Syrian reality. Between us, we were able to identify many powerful examples. Since the session took place, we get regular updates from participants about constructive reporting they’ve done. It is hugely encouraging to see how their work is making a difference in re-engaging audiences who had previously switched off. Together with independent media, charity partners and others interested in constructive media in conflict areas, we will continue to work on developing this curriculum further. If you are interested or working in this area, please get in touch to see how we can join forces in this important field. As a news consumer and positive psychology researcher, Jodie Jackson was fed up with the relentless negativity she encountered in the news. She set out on a seven-year journey to change her news habits, and find evidence for why you should do the same. The result is her new book, ‘You Are What You Read – Why Changing Your Media Diet Can Change The World’. Since launching on Unbound’s crowdfunding platform today, the book already raised over 20% of its target to fund the first print run. It comes at a time when a growing number of mainstream media outlets, including The Guardian and the BBC, are publicly committing to producing more solutions-focused, constructive journalism. Research – conducted by Jodie and many others over the years – shows that the excessive negativity in the news, quite literally, makes us miserable. At best, it leaves us indifferent, but more often than not, it triggers low mood and a passiveness that can even lead to anxiety and depression. But there is another side: more recent studies show that, by contrast, solution-focused news makes us feel more empowered. It helps us believe that our actions are able to make a difference. In this book, Jackson shows her readers how. First, by understanding the way in which our current 24-hour news is produced. Who decides what ends up on our front pages and in our social media feeds, and why does it matter in the first place? Next, she uncovers a parallel universe, beyond what the news industry refers to as the “good news is no news” principle. Combining well-evidenced research from psychology, sociology and journalism with real-life examples, this book makes a compelling case for the greater inclusion of solutions focused news into our media diet. With the year drawing to a close, we’d like to end on a high. The last few months have seen an amazing amount of development in the field of constructive journalism globally. We’ve seen constructive journalism mentioned at various industry events in the UK, universities have launched constructive journalism hubs and courses in the Netherlands and we spoke at the world’s first constructive journalism conference in Denmark. 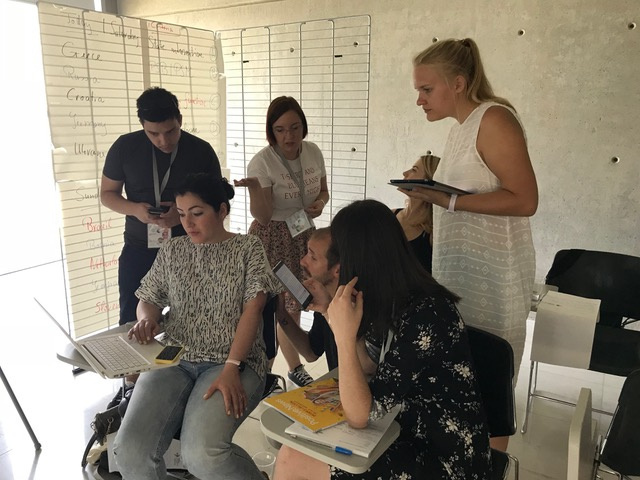 We have also seen trusted colleagues launch more and more platforms for journalists and researchers to discuss and promote constructive journalism across Europe and the US, and we’ve been working with incredible press freedom organisations to adapt our own training to different international contexts, including for conflict regions like Syria. We are encouraged to see mainstream media adopt and promote constructive journalism. As often, change started within the grassroots, but we need everyone on board to change the industry for good. With big legacy players joining independent media and start-ups, we’re expecting a real drive in consumer demand for more constructive news in the year ahead. On that note, we’d like to wish you all an inspiring, solutions-focused and hopeful New Year! PS For more on these industry developments, you can view and subscribe to our latest newsletter right here. Jodie Jackson, Researcher and Partner at the Constructive Journalism Project, will be speaking at “the world’s biggest conference on constructive journalism” next month. 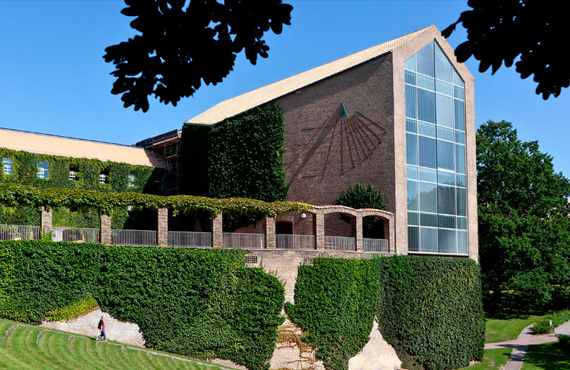 Taking place on 26–27 October at Aarhus University, Denmark, the Global Constructive Journalism Conference will bring together reporters, editors, media executives, scientists and politicians to discuss the role of the news media in modern day democracies. Other speakers include Michael Moller, director general of the United Nations; Jimmy Maymann, chair of UN Live and former CEO of Huffington Post; and Steven Pinker, professor of psychology at Harvard University. Last month our workshop trainer Veronique Mistiaen travelled to Tunisia to introduce correspondents from Egypt, Libya and Tunisia to constructive journalism. 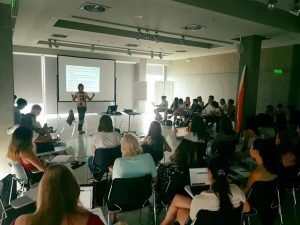 Here, she reflects on a full-on weekend in which participants discussed opportunities for a constructive approach to conflict reporting, political debate and social transformation. “Wouldn’t constructive stories belittle the problems we are facing?” asked the tall Libyan journalist. “If we write stories with a constructive angle, how can we make sure that they won’t be used as propaganda by the regime?” the thoughtful Egyptian journalist wanted to know. These were some of the stimulating questions journalists from Libya, Egypt and Tunisia asked during the very first Constructive Journalism Project workshop in the region. The political and media landscapes in post-revolutionary North Africa are not only very different from those in the UK and EU, where we have been running our workshops – but they are also different in each of these three countries. This led to very interesting, challenging and passionate discussions. Nineteen journalists participated in a three-day workshop in Tunis on November 25-28 organised by Media in Cooperation in Transition (MICT), a German non-profit organisation that runs media development projects in crisis regions. In addition to working for various media outlets, many journalists also contribute to Correspondents.org, a bilingual digital magazine (Arabic/English) designed by MiCT to cover three countries. We began the workshop by analysing the various newspapers and media they work for, discussing the balance or imbalance in the news and its impact on the readers and audiences, on major issues such as migration and climate change and on democracy. Constructive journalism was a new and rather unfamiliar concept to all participants, but they could see the need for a journalism that moves from the crisis rhetoric, trying instead to capture the complexity of social and political life, reconnecting with communities and reinvigorating our profession. We then explored practical tools the journalists could use in their own reporting in order to produce stories that are more balanced, explore new angles and possibilities and ask different questions to those in power, the experts and those too often referred to as ‘victims’ without much consideration for their well-being, dignity or resilience. During our last session the journalists pitched constructive-angled story ideas for Correspondents.com. These included stories on a Libyan port city, where the community and police worked together to drive traffickers out; transitional justice in Tunisia; projects to get young people off drugs in deprived areas in Libya and a profile of a young female hero from Cairo’s Tahrir Square. Frustrated with the way mainstream media ignores much of the progress being made in the world, researcher Jodie Jackson embarked on a master’s in positive psychology. Her thesis, titled Publishing the Positive, uncovers the power of positive news. She tells Danielle Batist what she has learned. Why did you choose to research positive news? I was interested in researching the psychological impact of the news because of personal experience. I found that my opinions and beliefs were becoming cynical, distrusting and perhaps even paranoid at times, largely due to the relentless focus on problems and the continuous depiction of humanity at its worst. I was interested in positive psychology and ideas around self-efficacy: a person’s belief in his or her ability to succeed in a particular situation. I realised that negative news was negatively affecting my self-efficacy and I wondered if I could change that. I began seeking out ‘solutions journalism’ to provide a balance. What began as emotional relief became something quite inspiring. I felt able and motivated to engage with the stories I was reading. Because of my own strong emotional reaction to the news, I wanted to research this further to understand how common this was and pave the way for a collective experience rather than just a personal one. The aspect that surprised me most was the relationship between people’s motivations for reading solutions-focused news and the consequences of doing so. What I found was that positive news can lead to optimism and those who are optimistic, in turn tend to seek out more positive content. Some readers say they consume positive news because it fits with their personal values and reinforces the way in which they see the world. Those who consider themselves hopeful, optimistic and believe in their ability and motivation to effect change, will seek out material that is line with their outlook on life. Other readers say that positive news changes the way they see the world and generates feelings of optimism, hope, self-efficacy and a restored faith in humanity. The suggestion that the categories identified can be both a motivation and a consequence was really significant to me. It supports the idea that increasing consumption of positive news content can create a positive feedback loop. This is the comparative opposite of the well-documented anxiety feedback loop, that suggests that reading predominantly negative news can lead to anxiety and that those in a state of anxiety may seek out negative news. (This is based on research by Mogg, Mathews and Eysenck carried out in 1992). This theory is supported by research suggesting that individuals with high optimism or self-efficacy pay more attention to positive stimuli and those with low levels of self-efficacy or low levels of optimism pay more attention to threat-related stimuli. It is exciting to see that the consumption of positive or solutions-focused news can turn this feedback loop into a positive one. What role could positive news play in the current landscape of divisive politics? Looking at the world through the lens of the media, we’d not be mad to think it a terrible place and the people in it no better – regardless of our politics. We need the news to help us understand our differences, not sensationalise them for the sake of clickbait. On a personal level, I’ve consciously chosen to widen my lens when seeking stories about the world. I have been inspired by reports about progress and possibility that create a balanced perspective of the world. I have seen how great people make great people, how wisdom inspires, how compassion heals and how love and respect dissipate hate and ignorance. It is encouraging to see that the research findings support what many audience members instinctively know. I hope my research will help to spark a shift in ordinary people – the ‘consumers’ of news. Media publishers and editors are hugely influenced by consumer demand. This is where I think the real power of my research lies: it speaks to news audiences, not necessarily to industry professionals. I believe one reason for the continued acceleration of the negativity bias in the news is a lack of accountability. Media outlets can be powerful instruments in helping to correct wrongdoing, investigating problems and exposing them to the public. But while they are formidable forces in holding others to account, they are not always very good at turning the lens on themselves. We have to ask ourselves: who holds the media accountable? I believe we, the consumers, do. By grasping the psychological impact that news streams have on us, we can move from being merely consumers to becoming conscious consumers. If we create a shift in demand, it could in turn create a shift in supply. Jodie Jackson is a research associate for the Constructive Journalism Project. 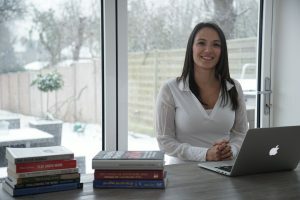 She has a master’s degree in positive psychology from the University of East London, where she was awarded a distinction for her thesis, titled Publishing the Positive. Jackson has delivered talks on the psychological impact of the news to journalism students in the UK and at industry conferences internationally. Disclaimer: The sample for Jackson’s study was made up of readers and journalists of Positive News. The research was conducted independently by her. Titled ‘Publishing the Positive’, the research demonstrates that at a time of divisive politics, positive news stories have the potential to unite, inspire and empower groups of people in society. Positive psychology researcher Jodie Jackson, who conducted the study at the University of East London, said: “Participants expressed that an excess of negative news led them to see the negative in other people, and feel isolated from society. However, the opposite was experienced when participants read positive news, which created a sense of admiration for other people and ‘restored [their] faith in humanity’.”On an individual level, news stories that focused on solutions were shown to improve wellbeing. They can also boost self-efficacy; a person’s belief in their ability to make a difference. Another finding was that positive news stories lead to an increase in hope and optimism. This in turn made news consumers more likely to notice positivity and become more solutions-oriented, creating a ‘positive feedback loop’. Participants in the study reported higher levels of what is known as ‘active coping’: being able to approach and engage with a problem rather than avoiding it. In a media landscape where many audiences avoid news because of an excess of negativity, caused by what Jackson refers to as a “negativity bias”, genuine positive news can engage audiences and empower them to respond to problems. The sample was made up of readers and journalists of Positive News, a media organisation dedicated to journalism about progress and possibility. Publishing online, and in print as a magazine, Positive News is the longest-established brand of its kind. The organisation is set up as pioneering media co-operative, owned by readers globally. The research suggests a distinction between the term ‘positive news’ – a reference to the content of what is reported – and the term ‘constructive journalism’, which refers to the way a topic is approached and reported by the journalist. The research coincides with growing momentum for the constructive journalism movement. Following decades of alternative media beating the drum for a more solutions-oriented journalism, high profile mainstream outlets, including the Guardian and BBC in the UK, and Spiegel Online in Germany, are among those embracing constructive journalism principles. Jackson states that reporting positive news does not mean journalists ignoring negative news. Rather, it simply requires them to no longer ignore positive elements and, where feasible, to include them within the wider narrative of a story. Disclaimer: Seán Dagan Wood , co-founder of the Constructive Journalism Project, is also Editor-in-Chief of Positive News. This research was conducted independently by Jodie Jackson, with no interference from Positive News or the Constructive Journalism Project, other than to provide open access to its networks of readers and journalists. Covering solutions: how do you know what works? It’s one of the questions we often get asked during our courses: once you know the ins and outs of a problem, how do you get ideas for where solutions might be? First of all, we believe that as journalists, we don’t invent solutions. We simply research and report on solutions that are out there, either already happening somewhere in the world, or existing in the minds of experts. Importantly, we believe that experts are not just those in ivory towers, but rather the people on the ground who are affected by the problem. After all, it is in their best interest to solve it and more often than not, they have already taken steps to do so, or at the very least have ideas worth hearing. •Who is solving what and how? •Who is thriving, where is there resilience? •Where is there creativity, passion and innovation? •Who has grown, or experienced post-traumatic growth? •Where is there co-operation and collaboration? •Where are new possibilities being explored? •Where is the conventional narrative around this issue being disrupted? It’s the last question that often sets good constructive stories apart – and make you stand out as a journalist pitching the story to an editor or audience. When done well, constructive journalism shows a different side of the coin. It shows that change is possible, and makes people sit up and take notice. The response we aim for is one of: ‘wow, I had no idea.’ If you can trigger that sense of awe, you not only have a captive audience, but your journalism becomes valuable in more ways than one. We”ll cover more constructive journalism tools and techniques in our next workshop. Join us on 21 October 2016. Our co-founder Seán Dagan Wood explains how constructive journalism can benefit us all.